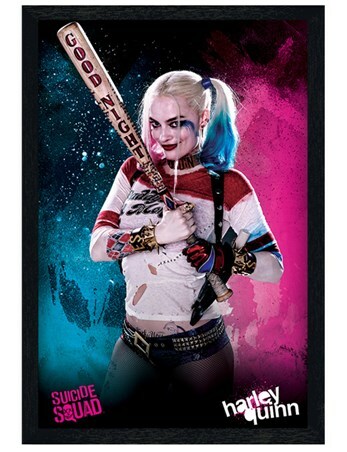 Swinging her baton over her head and on to her shoulders, this psychiatrist turn evil accomplice is looking like a nasty plan is brewing inside her crazed mind. 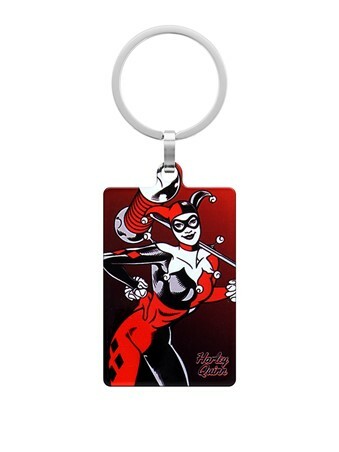 If you know a fan of DC comics or the epic series of movies including this interesting character, this metal key fob is a great gift to incorporate the mad fantasy land into their everyday. 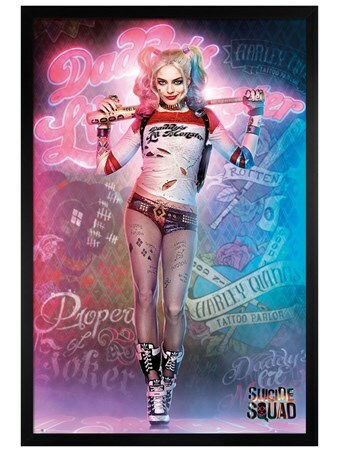 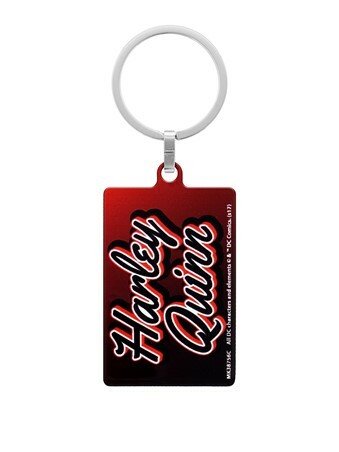 High quality, framed Harley Quinn, DC Comics keyring with a bespoke frame by our custom framing service.